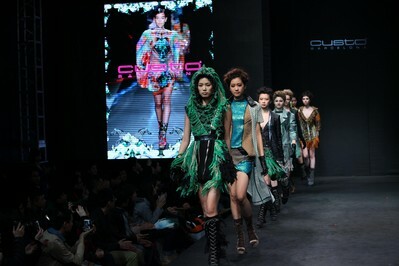 UBM Asia has signed a binding agreement with NOVO Mania Limited, the organiser of NOVOMANIA, to acquire the annual urban fashion event in Shanghai. Upon completion, UBM will own 60% of a joint venture company, with NOVO Mania Limited, called UBM Novomania, to organise NOVOMANIA from 2013 onwards. NOVOMANIA was launched in 2010 as an annual urban fashion event by the NOVO group of companies, a retailing and fashion conglomerate based in Hong Kong that operates and distributes over 50 international brands and has stores across 45 cities in China, and one of its partners, Focus Workshop, an innovative full service agency in China with expertise in luxury brands in beauty and wellness, fashion, real estate and FMCG. By bringing together designers, brands, buyers, distributors, retailers, franchisees, department stores, mall operators, real estate developers and the media, it creates a platform for introducing retail concepts to international brands which are seeking to enter the China market and for providing new business opportunities for domestic brands. Showcasing the latest trends in major areas of urban fashion such as Denim&Urban, Sports&Street, Shoes&Accessories, Fashion&Chic and Contemporary&Premium, NOVOMANIA held at the Shanghai World Expo Exhibition & Convention Centre inMarch 2012 occupied 25,000 gross sqm of exhibition space and welcomed 117 exhibitors from 13 countries and over 13,000 visitors. This year, Novomania will be held from 17 – 19 July at Shanghai Mart. Mr Guilherme Faria , General Manager of NOVOMANIA, together with his team, will be incorporated into the UBM China (Shanghai) office, reporting to the board of UBM Novomania.